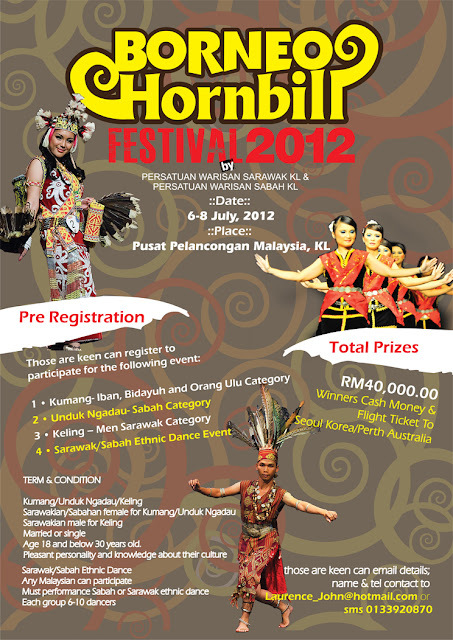 BHF12 promotions will be in high gear come 2012 with contestants preparing for the audition in Kuching, Sibu, Miri and Kuala Lumpur between February and March 2012. Exact dates will be notified before the end of 2011. The auditions are held at important Locations across Sarawak and in Kuala Lumpur to widen the coverage and facilitate contestants from remote areas of Sarawak. Among the criteria taken into consideration during the audition interview are overall appearance, knowledge on culture and confidence level. Contestants will also be required to write a short essay (100 words) about themselves and their cultures.